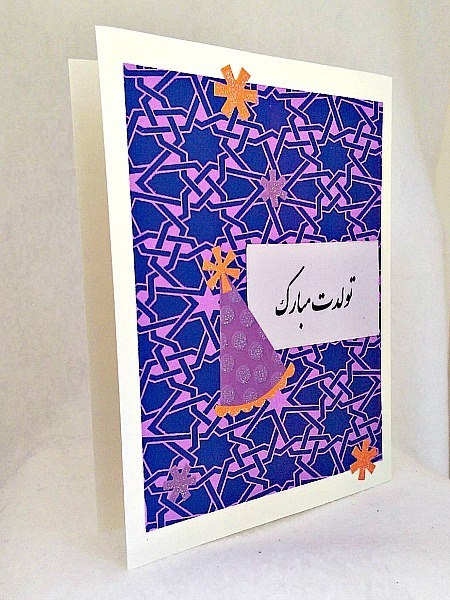 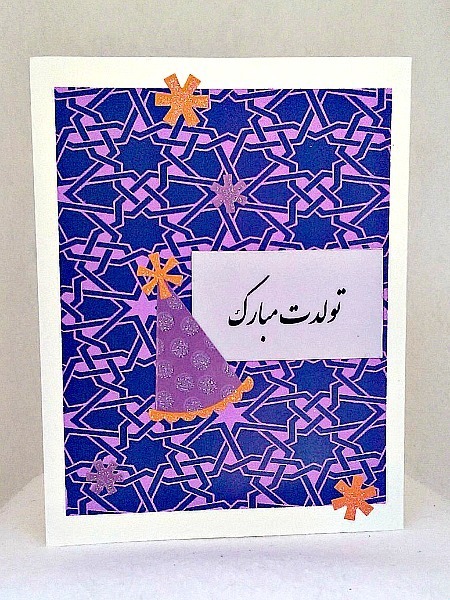 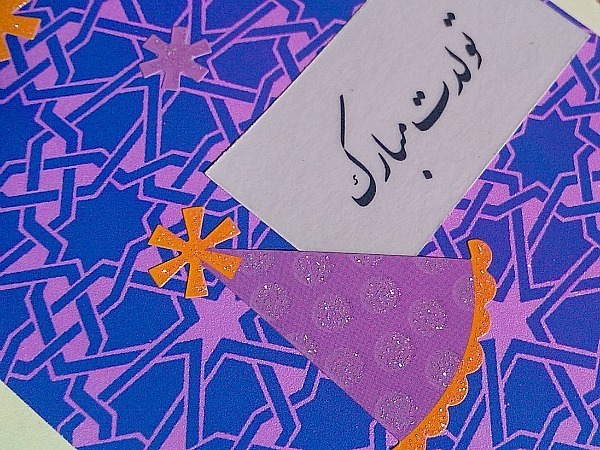 This gorgeous Persian birthday card features a 3D purple and orange glittered polka dotted birthday hat. 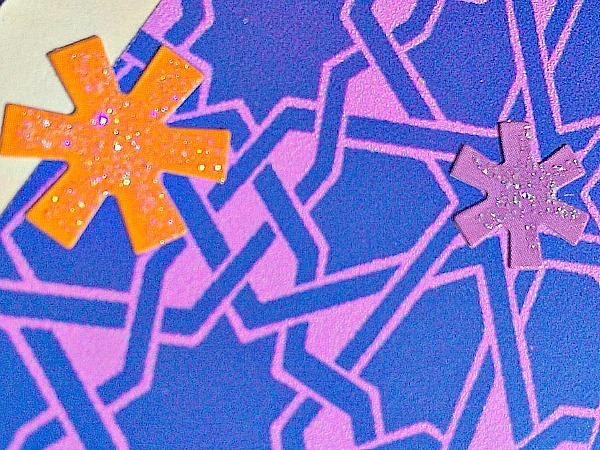 Confetti in similar colors has also been added to the geometric purple background cardstock. 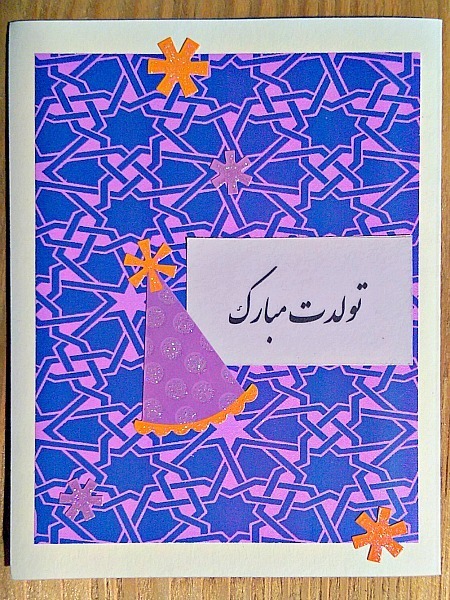 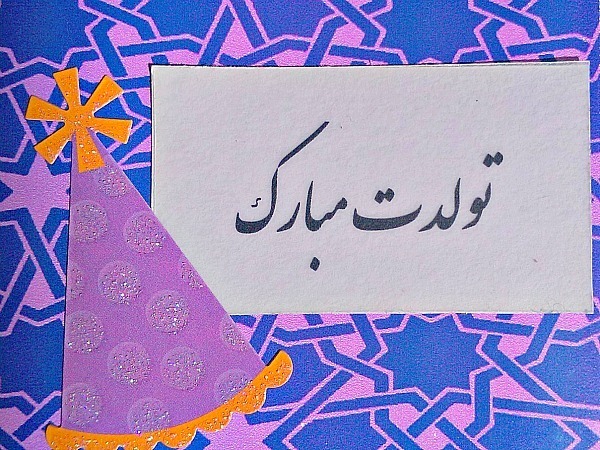 The words tawallodet mobarak, happy birthday in Farsi, have been placed on vellum and added light purple cardstock to the right of the birthday hat.